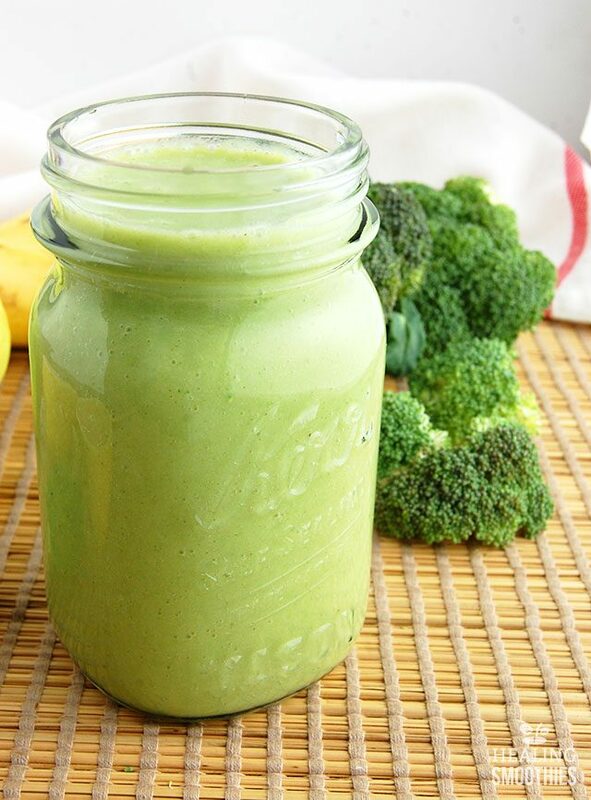 This delicious green smoothie combines apple, banana, and pineapple with an entire cup of raw broccoli. Raw broccoli in a smoothie does not sound appealing for many reasons, but I am here to tell you that you can indeed hide broccoli in your smoothie. And even enjoy the delicious green smoothie. The sweet flavors from the other fruits will have you enjoying a drink that provides a major health boost. Broccoli contains several notable nutrients. The first is a high amount of vitamin C, which helps out the immune system as an antioxidant. The apple, pineapple, and lemon juice in this smoothie all have vitamin C as well. Vitamin C fights against cell damage and aids in preventing heart disease. 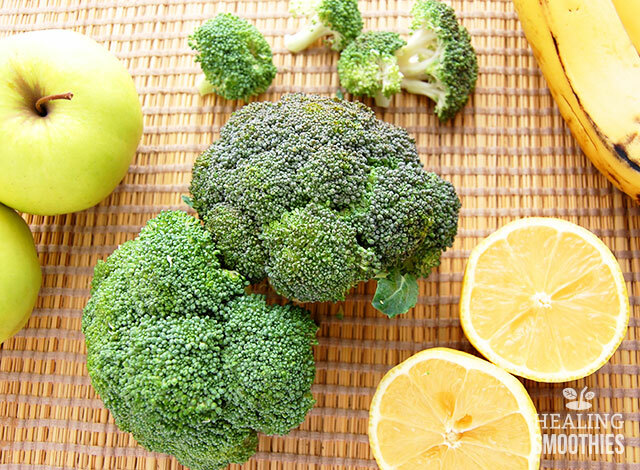 Also found in broccoli are the powerful antioxidants lutein, zeaxanthin, and beta-carotene. Lutein and zeaxanthin benefit your vision by working to prevent cataracts and age-related macular degeneration. Additionally, broccoli is rich in beta-carotene, which the body converts into vitamin A. Vitamin A supports your eyesight, along with maintaining healthy skin and bones. Broccoli does not only provide antioxidants. It has plenty of fiber, potassium, folate, and calcium to offer. The vegetable has both soluble and insoluble fiber, promoting proper digestion. Potassium benefits the nervous system by replenishing electrolytes and balancing your energy levels. Folate aids in cell growth and repair, especially important for pregnant women and fetal development. Furthermore, broccoli is an important source of calcium for those who do not consume dairy. It also gives you iron, zinc, and magnesium. So by now you know that eating your broccoli is good for you. But one of the key nutrients that actually makes it so is glucoraphanin, found in many cruciferous vegetables. To simplify, glucoraphanin can be processed by your body into the compound sulforaphane, which has anti-cancer properties. Sulforaphane helps eliminate carcinogens and free radicals from the body. This is a unique green smoothie because all of the color comes from the broccoli instead of from leafy greens. Making a broccoli smoothie can be a little tricky because you ideally need a high-powered blender. 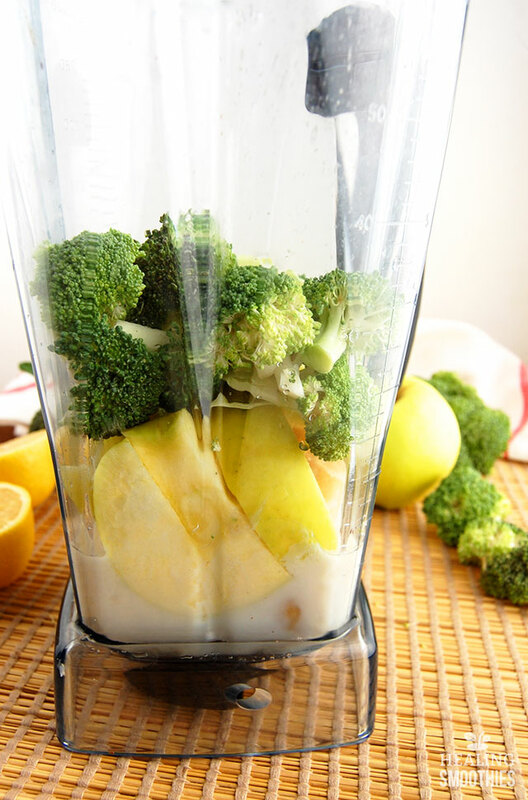 If you do not have such a blender, you may need to blend the broccoli and liquid first and then strain the juices. It can be hard for such blenders to cut up the florets. A high-powered blender handles the broccoli just fine. You should blend everything for a couple of minutes to make sure the smoothie is creamy. 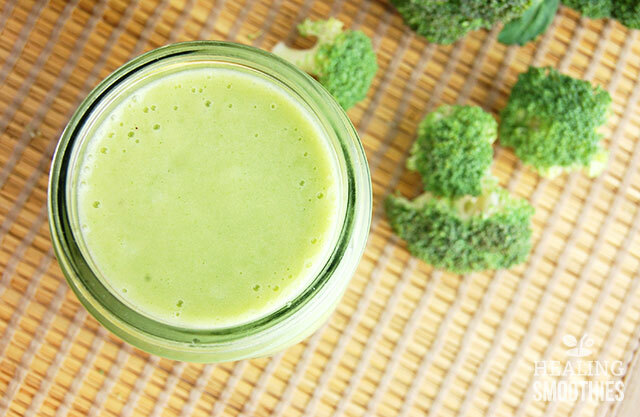 Because broccoli is so strongly flavored, other powerful fruits are included in this recipe. Apple, banana, and pineapple all round out the flavor and sweeten the smoothie, which means that you can’t really taste the broccoli. So go ahead and hide some raw broccoli in your next green smoothie. The nutrition hidden within broccoli will greatly benefit your health. 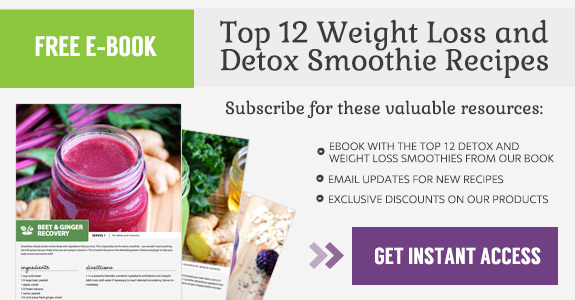 This smoothie gives you an easy – and tasty! – way to drink your veggies. 1. In a powerful blender, combine ingredients and blend for several minutes until smooth. Add more almond milk if necessary to reach desired consistency. Serve immediately.